AKW are the UK market leader in showering, daily living and kitchen solutions for people with mobility needs. With 25 years of experience and unparalleled commitment to style, innovation and customer service, their choice, competitive pricing and first-class customer service have established AKW as one of the largest bathroom companies in the UK and a leading light within the industry. The solutions offered by AKW are specified by the majority of local authorities and housing associations and their reputation for excellence is growing tremendously in the retirement and care home sector. Few bathroom companies are as large and varied as AKW, offering a truly vast range of products that includes wet room formers, shower trays, shower screens, showers, shower seats, grab rails, wastes and more. Supported by a dedicated team of technical advisors, many of whom have been tradesmen themselves, able to provide expert knowledge and advice whatever the situation, AKW is renowned for its exemplary approach to quality and service. When purchasing an AKW product you can be sure that you are purchasing from a highly respected, well established, leading player within the bathroom industry that can offer unrivalled support and expertise. In line with their reputation for quality and innovation, AKW’s expertise extends to a strong commitment to sustainable development and environmental efficiency. A proud member of the Bathroom Manufacturers Association their sanitary ware and brassware is WRAS approved. Further, the company’s commitment to reducing their carbon footprint has resulted in the production of recyclable shower trays, and in the course of 12 months alone, CO2 usage has been reduced by 25%. Based on a selection of high-quality formers, AKW wet rooms offer added strength underfoot, superior waterproofing qualities and 100% watertight reliability. They’re also extremely versatile and a pleasure to work with. Designed by experts that understand the challenges faced by installers, you can be sure of an easy first time fit with clear instructions. Tried and tested to demanding specifications, by choosing AKW you’re choosing a stylish, high-performance wet room that’s the result of over 25 year’ specialist experience. The high-performance robust design of the TriForm former means that these wet rooms function just as superbly as they look. Discreet and non-intrusive, Triform can rapidly drain the most powerful showers, its performance matched only by its versatility and serviceability. As the name suggests, TuffForm by AKW is the toughest former available, bringing durability and waterproof reliability. Blending long-lasting performance with a weight capacity of up to 254kg, TuffForm is proven to last five times longer than other formers backed by an equally solid lifetime guarantee. It’s also easy to size and fit to wooden or solid floors. 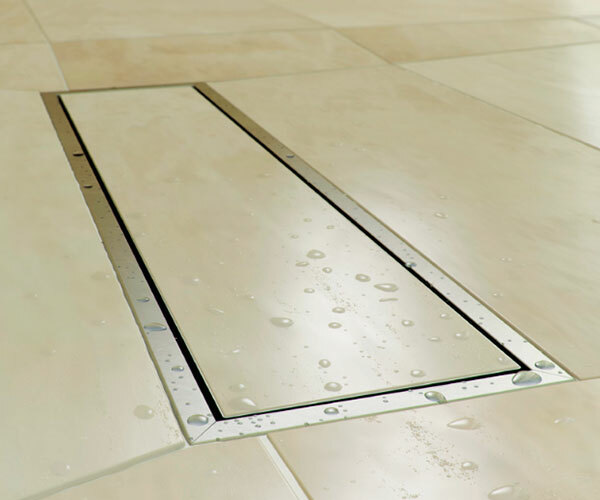 FormSafe is a dry tanking kit that can be walked on and tiled over instantly, rather than having to wait 24 hours for it to cure, so you can fit within a day. Highly innovative in its design, Formsafe is a self-adhesive waterproof membrane that enables ceramic tiles and natural stone to be applied to timber and solid wet room floors. FormSafe is the essential solution for long-lasting, reliable waterproof tanking. Contemporary styling combines with advanced technology to create AKW’s highly impressive range of electric showers. Whether using these electric showers or installing them, the great features and technical innovations will make your life easier and your bathroom more stylish. The iCare, iTherm and iSure electric shower ranges by AKW are innovative, practical and beautiful. The iCare shower is a true step forward in electric shower design both in terms of its beautiful design blended with innovative practical options. 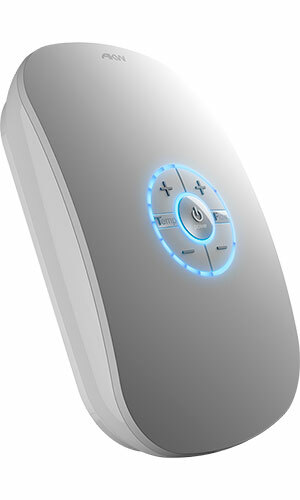 The iCare’s Bluetooth Smart wireless remote means you can control it from outside the shower area; turn it on/off, set the flow rate and bring it up to temperature from across the room or even from the comfort of your bed. Stylish push-button controls and audible/LED illuminated indicators provide ultimate control and safety. The intuitive design of the iTherm puts you firmly in control of your showering experience. Select the perfect temperature and flow using the highly responsive controls with feedback from an LED display. Thermostatically stabilised temperature provides ultimate reassurance. Simple, stylish and safe for the family. The perfect solution for replacement installations and when simple is simply the best. White dials set into a deep gloss surround provide a minimalist look suited to all showering areas. Advanced fitting innovations mean the iSure is quick and easy to install over most manufacturers’ footprints, which means less re-tiling, cabling and pipework. The confidence of AKW in its own technical expertise, reliability and quality materials is such that nearly all AKW products are covered by a watertight ‘no quibble’ Lifetime Guarantee against manufacturing defects to offer total piece of mind. This guarantee can leave you in no doubt that your bathroom purchase will last a lifetime and comes from a well-established, highly reputed company. Here at Midland Bathroom Distributors, we are proud to stock AKW products including wetrooms and electric showers amongst our extensive offering. Please browse our website catalogue to see our wetroom and electric shower listings. Our Birmingham based warehouse, the largest in the Midlands, carries a huge quantity of stock, more than what is displayed on the website so please do contact us if you cannot find what you need. If you need assistance or any more information then please get in touch at 0121 603 832, we will be more than happy to help you find the ideal solution for your bathroom.